Distinguished Australian artist born at Enmore, Sydney in 1883. 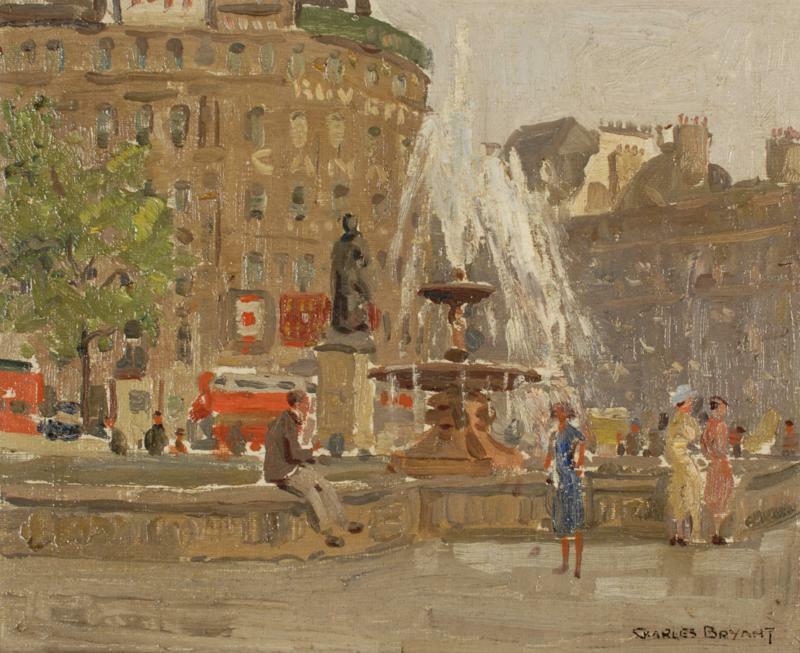 Charles Bryant studied painting in Sydney under W. Lister Lister and exhibited at the Royal Art Society of New South Wales for some years before he went to London in 1908. He then studied under John Hassall in London and Julius Olsson at St Ives in Cornwall. He then started to exhibit at the Royal Academy, Royal Institute of Oil Painters, the Paris Salon and other well known societies. He was appointed an official war artist on the Western Front in 1917 and produced many paintings for the Australian government which are now in the Australian War Memorial in Canberra. In 1922 he returned to Australia and in 1923 was sent to New Guinea as official artist to the Commonwealth Government. He then spent a further ten years in England before returning to Australia once again where he had a very successful one man shows in Sydney and Melbourne in 1936. He died the flowing year aged just 53. Bryant was a member of the council of the Royal Institute of Oil Painters, a Vice-President of the Royal Art Society, Sydney, and President of the London Sketch Club. Collections: Sydney, Melbourne, Adelaide, Castlemaine and Manly Galleries; Australian War Memorial; Imperial War Museum, London.